Quite a few people wrote to me over the past week asking about all the noise coming out of Cyprus. If you haven't heard, there is a financial collapse that is unfolding there: banks are closed and people can't get at their money. The Cypriot banks are insolvent. This is no surprise: all banks everywhere are insolvent, and would fail immediately were the various types of ongoing bailouts to suddenly stop. These bailouts include an ever-longer list of annoying financial jargon—liquidity injections, quantitative easing, toxic-asset-purchasing by central banks, accounting tricks such as “mark-to-fantasy,” which allows them to make bogus claims as to the value of their assets, yadda-yadda. The point is, the financial system failed in 2008, and stayed that way. The faulty formula behind all modern finance is debt raised to the power of time, and only works when there is exponential growth in economic activity and energy. Energy's exponential growth stopped in 2005 due to resource depletion; three years later finance collapsed. Permanently. Since then we have been witnessing a global game of “extend and pretend,” which cannot be played indefinitely. 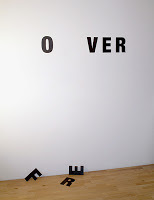 If something can't go on forever, it doesn't. Perhaps you have also heard about the nasty Russian oligarchs who used Cyprus as an offshore to launder their ill-gotten gains. Russian interests stand to lose tens of billions of dollars on the Cyprus fiasco. They were going to use that money to put their young idiots through Harvard, snap up Miami real estate, cruise the Mediterranean in megayachts and so on, and they probably still will. But they are not at all happy, still sore from what happened in that other EU offshore, Iceland, and thinking of something to do about it—something painful, embarrassing, or both. By the way, the money-laundering charge is just anti-Russian bigotry, which is a hold-over from the Cold War. You see, when Apple Computer parks its cash offshore, that's called “minimizing international tax exposure.” But when a Russian company does it, it's called “international money-laundering.” Cheating and stealing are the last two competencies left in modern finance, yet when Russians do it it's somehow considered bad? That is just hypocrisy pure and simple. In case anyone wants a solution to the Cyprus crisis, I have a modest proposal. Take Cyprus out of the Eurozone and make it part of the Ruble Zone. Pay depositors in full, in Russian Rubles. Now reprice and sell Russia's natural gas exports to Europe in Rubles. Eurozone would still be insolvent, but Cyprus would be fine and the Russian depositors would be happy. Of course, Germany et al. would have to start exporting products to Russia at a steep discount to earn the Rubles to pay for the gas. Failing that, they could buy Rubles using Euros, and then Russia would turn around and use them to buy gold. What the Cyprus crisis exposes is just the tip of the financial collapse iceberg. Cyprus is small, far away, and by itself unlikely to crash the entire system, but you never know—icebergs are known to flip and crumble unexpectedly. But taking a slightly longer view, the experience the Cypriots are going through exposes the risk of having all of your eggs in the one basket labeled “finance.” If you want to maximize your stupidity, keep your money in a bank or any other financial institution. A slightly less stupid strategy is to hold wastebaskets full of physical Dollars or Euros (which will eventually be worth their weight in recycled paper). Less stupid still is the strategy of holding precious metals (which will probably be confiscated once governments become sufficiently desperate). There are some non-stupid options as well, but if you want to learn about those you will have to read my book (which is going to press this week). Fast forward to a week later: banks are closed, ATMs are out of cash, supermarket shelves are bare and gas stations are starting to run out of fuel. Nothing useful happens when people swipe their credit cards at the few stores that remain open (not that anyone is shopping, except for food and ammo). And then something happens: the government announces that they have formed a crisis task force, and will nationalize, recapitalize and reopen the banks, restoring confidence. 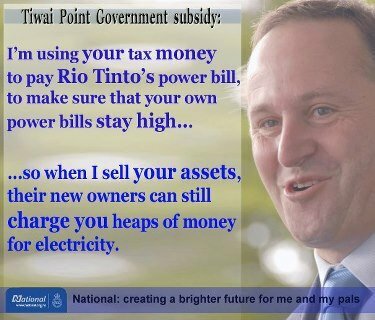 In short, the government will attempt to single-handedly operate their corner of the global economy by other means. The banks reopen, under heavy guard, and thousands of people get arrested for attempting to withdraw their savings. Banks close, riots begin. Next, the government decides that, to jump-start commerce, it will honor deposit guarantees and simply hand out cash. They print and arrange for the cash to be handed out. Now everyone has plenty of cash, but there is still no food in the supermarkets or gasoline at the gas stations because by now the international supply chains have broken down and the delivery pipelines are empty. Restarting them requires international credit, which requires commercial banks to start operating normally, and that in turn requires functioning supply chains and retail. 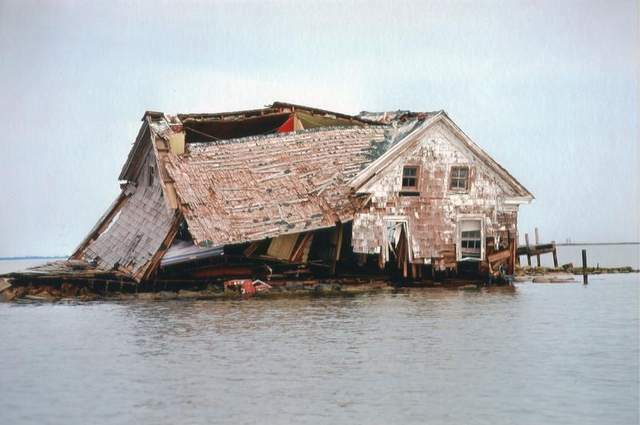 Last October’s Hurricane Sandy was a costly affair for Somerset County, hitting Crisfield residents especially hard, with flood waters up to 5 feet deep that destroyed property and in the aftermath, shook the town’s economic and physical foundations. There was little time to escape rapidly rising waters as the storm swept ashore that day. Predictions about the storm’s effects proved stunningly wrong. Post-storm research has uncovered new information that suggests Crisfield sits at the epicenter of previously unknown tidal phenomena that puts the town at high risk of similarly devastating flooding in the future. Much of the land that surrounds the Chesapeake Bay is, unfortunately, gradually disappearing. Rising water has already claimed more than one previously inhabited island in the bay. FEMA is redrawing its flood maps in coastal regions, and that means property owners in more low-lying areas will see rising flood insurance premiums beginning as early as this month. Whatever you believe about climate change, the evidence of sea-level rise is indisputable. Anyone who suffers losses and chooses to build within flood plains should expectd to pay more to risk a repeat experience. Even those whose families have lived for generations in areas like Crisfield are a different matter, but even they must face reality. They cannot rebuild every time the land floods and expect public or private insurance settlements to bail them out repeatedly. Just after the local water board announced this month that its farmers would get only one-tenth of their normal water allotment this year, Ronnie Walterscheid, 53, stood up and called on his elected representatives to declare a water war on their upstream neighbors. The drought-fueled anger of southeastern New Mexico’s farmers and ranchers is boiling, and there is nowhere near enough water in the desiccated Pecos River to cool it down. Roswell, about 75 miles to the north, has somewhat more water available and so is the focus of intense resentment here. Mr. Walterscheid and others believe that Roswell’s artesian wells reduce Carlsbad’s surface water. For decades, the regional status quo meant the northerners pumped groundwater and the southerners piped surface water. Now, amid the worst drought on record, some in Carlsbad say they must upend the status quo to survive. They want to make what is known as a priority call on the Pecos River. A priority call, an exceedingly rare maneuver, is the nuclear option in the world of water. Such a call would try to force the state to return to what had been the basic principle of water distribution in the West: the lands whose owners first used the water — in most cases farmland — get first call on it in times of scarcity. Big industries can be losers; small farmers winners. The threat of such a move reflects the political impact of the droughts that are becoming the new normal in the West. “A call on the river is a call for a shakeout,” explained Daniel McCool, a University of Utah political scientist and author of River Republic: The Fall and Rise of America’s Rivers. “It’s not going to be farmers versus environmentalists or liberals versus conservatives,” he said. “It’s going to be the people who have water versus the people who don’t.” And, he said, the have-nots will outnumber the haves. Despite the support Mr. Walterscheid got from two of the Carlsbad Irrigation District’s five members, however, the March 12 meeting produced not a priority call, but an ultimatum: The Legislature should give Carlsbad $2.5 million to tide it over, or the water district will make the call and start a traumatic legal and scientific battle. “If we turned off every one of our pumps today, they wouldn’t see any more water,” said Aron Balok, the district’s manager. Nonetheless, the bounty of the Roswell-Artesia aquifer, which has produced a robust economy, including abundant dairies, an oil refinery and the West’s biggest mozzarella plant, gives rise to “just plain jealousy” in Carlsbad, he said. Fascist tactics from the government. Energy Minister Simon Bridges is proposing hefty fines and strict penalties for anti-mining protesters who interfere with offshore mining operations. Intentional damage would carry a maximum penalty of 12 months' imprisonment, or a fine of up to $50,000 for an individual or $100,000 for a group. Seismic vessels would also be able to keep protesters up to 500 metres away, and those in violation would be fined $10,000. Mr Bridges says offshore protests by Greenpeace against Petrobras in 2011 is one of the main reasons for the law change. 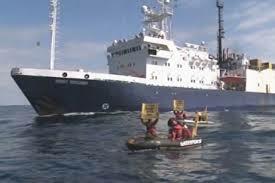 At the time, Greenpeace deployed swimmers in front of the Brazilian oil giant's survey ship in the waters off the North Island's East Cape. Mr Bridges says the proposed legislation is not about thwarting legitimate democratic protest - which he says can be done in plenty of other places - but stopping dangerous and reckless behaviour. "What we are doing here is stopping people who want to stop other people going about their lawful business and doing what they have a permit to do and they are legally entitled to do." Mr Bridges says while there is protection for oil rigs from unlawful damage in New Zealand's exclusive economic zone, there is none for vessels or other moveable structures, and the new law would fill that gap. Greenpeace says the Government is using scare tactics with its new proposal to fine anti-mining protesters who interfere with offshore mining operations. It says the law is going to stop the same sort of people who would have protested against nuclear testing in the Pacific and nuclear warships entering New Zealand waters. The Labour Party says the proposed fines are a massive over-reaction and the Government is kow-towing to foreign multi-national companies. But Mr Bridges says companies who have gone through a legitimate permit process deserve to carry out their work free of criminal interference. Exxon Mobil was working to clean up thousands of barrels of oil in Mayflower, Arkansas, after a pipeline carrying heavy Canadian crude ruptured, a major spill likely to stoke debate over transporting Canada's oil to the United States. Exxon shut the Pegasus pipeline, which can carry more than 90,000 barrels per day (bpd) of crude oil from Pakota, Illinois, to Nederland, Texas, after the leak was discovered on Friday afternoon, the company said in a statement. Exxon, hit with a $1.7 million fine by regulators this week over a 2011 spill in the Yellowstone River, said a few thousand barrels of oil had been observed. A company spokesman confirmed the line was carrying Canadian Wabasca Heavy crude. That grade is a heavy bitumen crude diluted with lighter liquids to allow it to flow through pipelines, according to the Canadian Energy Pipeline Association (CEPA), which referred to Wabasca as "oil sands" in a report. The spill occurred as the U.S. State Department is considering the fate of the 800,000 bpd Keystone XL pipeline, which would carry crude from Canada's oil sands to the Gulf Coast. Environmentalists, concerned about the impact of developing the oil sands, have sought to block its approval. Supporters say Keystone will help bring down the cost of fuel in the United States. The Arkansas spill was the second incident this week where Canadian crude has spilled in the United States. On Wednesday, a train carrying Canadian crude derailed in Minnesota, spilling 15,000 gallons of oil. Exxon expanded the Pegasus pipeline in 2009 to carry more Canadian crude from the Midwest to the Gulf Coast refining hub and installed what it called new "leak detection technology". Exxon said federal, state and local officials were on site and the company said it was staging a response for a spill of more than 10,000 barrels "to be conservative". Clean-up crews had recovered approximately 4,500 barrels of oil and water. "The air quality does not likely present a human health risk, with the exception of the high pooling areas, where clean-up crews are working with safety equipment," Exxon said in a statement. U.S. media said the spill was in a subdivision. Mayflower city police said the oil had not reached Lake Conway nearby. The U.S. Environmental Protection Agency categorized the rupture as a "major spill," Exxon said, and 22 homes were evacuated following the incident. A spokesman for the Department of Transportation confirmed that an inspector from the Pipeline and Hazardous Materials Safety Administration had been sent to the scene to determine what caused the failure. The Environmental Protection Agency is the federal on-scene coordinator for the spill. Some environmentalists argue that oil sands crudes are more corrosive than conventional oil, although a CEPA report, put together by oil and gas consultancy Penspen, argued diluted bitumen is no more corrosive than other heavy crude. The U.S. Department of Transportation earlier this week proposed a fine of 1.7 million for Exxon over pipeline safety violations relating to a 2011 oil spill in the Yellowstone River. Exxon's Silvertip pipeline, which carries 40,000 barrels per day of crude in Montana, leaked about 1,500 barrels of oil into the river in July 2011 after heavy flooding in the area. In 1989, the Exxon Valdez supertanker struck a reef in Prince William Sound off Alaska and spilled 250,000 barrels of crude oil. Max Keiser - "What if they seize your bank account?" We discuss the previously successful UK economy which who has become addicted to gambling and spending fortunes on spread betting and so has turned to operating ponzi schemes in order to keep the appearance of economic activity. It appears, given news from Italy today, that European depositors are increasingly coming to the realization that deposits in their local bank are not 'safe' places to put their spare cash, but are in fact loans to extremely leveraged businesses. In a somewhat wishy-washy, 'hide-the-truth'-like statement on Monte dei Paschi's website, the CEO admits to, "the withdrawal of several billion in deposits." Of course, the reasons why these depositors withdrew their capital from the oldest bank in the world will never be known though of course he blames it on "reputational damage" from their derivative cheating scandal. Apparently the fact that this happened to come about six week after said scandal and the bank's third bailout, and that the prior two bailouts did not result in such an outflow of unsecured liabilities (at least not to the public's knowledge), was lost on the senior management, as was lost that a far greater catalyst may have been the slightly more troubling events in Cyprus in the second half of March. Unsurprisingly, as Reuters notes, the CEO declined to give a forecast on the level of deposits at the end of the first quarter of 2013; no wonder given the bank just doubled its expectations for bad loans and the 'Cypriot Solution' dangling over uninsured depositor hordes. But it has yet to make clear what impact the scandal itself had on its first quarter results. "The illicit nature of the derivatives trades and their consequence on the bank's assets exposed the bank to reputational damage that was immediately translated into...the withdrawal of a few billion euros in deposits," the bank said in a document for shareholders attending its April 29 meeting. But he declined to give a forecast on the level of deposits at the end of the first quarter of 2013 or to indicate the outlook for net interest income and loan loss provisions. A quick glance at BMPS' capital structure shows that there isn't a whole lot (read: almost any) of impairable securities below the unsecured liability (i.e., deposit) level. It is also obvious that when the bad debt impairment begins and depositors start getting whacked at least senior bonds, which should be pari passu, will feel the pain too as per the Diesel-BOOM doctrine, although we doubt this particular case of pain sharing will bring much comfort to any and all uninsured depositors in the oldest bank in the world. Scientists fear beginning of ecosystem collapse? 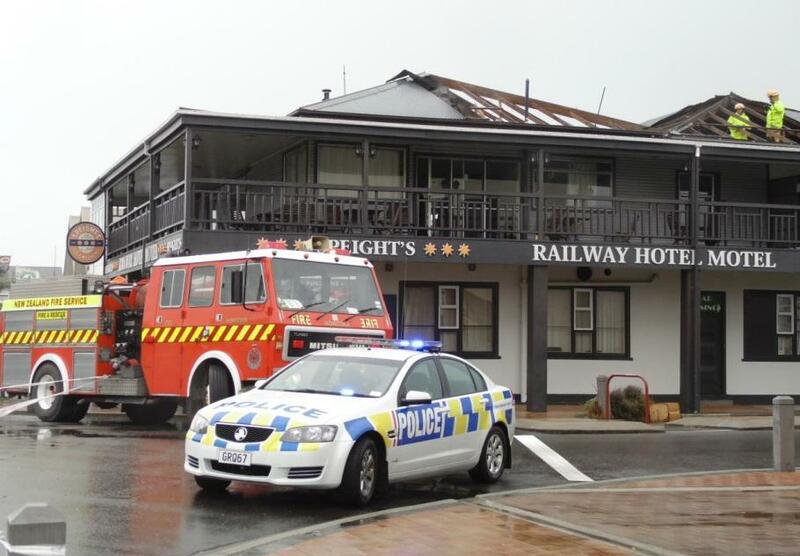 A tornado that swept through Hokitika's central business district ripping iron from roofs, ''miraculously'' injured no-one. Police and the Fire Service were called to Weld St at 12.32pm after a twister ripped through the West Coast town. Fire Service southern communications shift manager Andrew Norris said roofing iron had come off the Railway Hotel and Westland District Council buildings. The service put tarpaulins on the roofs to protect the two buildings, he said. It appeared the damage had been isolated to the two buildings. A St John Ambulance spokesman said there were no reported injuries, which he described as "miraculous". Met Service severe weather forecaster Erick Brenstrum said it appeared the tornado was short-lived and at the lower end of the scale. He said the West Coast had more tornadoes than anywhere else in New Zealand, but a number went unnoticed because they made landfall in areas without houses or people. In Bahrain, 21 doctors have been cleared of involvement in illegal anti-government protests. The medics have spent more than a year and a half behind bars, for as they say treating injured demonstrators. Dozens of health workers along with opposition activists have been arrested and charged, since the uprising began more than two years ago. Doctor Fatima Haji faced similar charges to the acquitted medics, and she told RT what she had to go through during her confinement. Washington: Prominent North Korean analysts, citing what they see as increasingly troubling signs coming from the dictatorial regime, have voiced concerns that its new young leader, Kim Jong-un, could do something ill-advised and even start a war with the US. On Friday North Korea renewed what the U.S. has condemned as its 'bellicose rhetoric', saying Kim had ordered the nation's missile forces to prepare to strike the United States and South Korea. 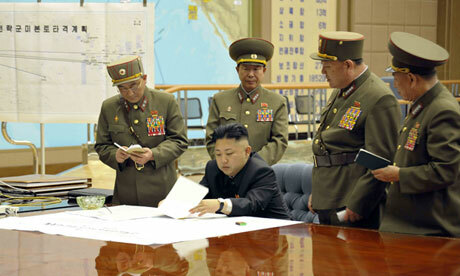 According to the Christian Science Monitor, in response to the prospect of North Korea following through on this and other marginally less dire threats, Defense Secretary Chuck Hagel said that the US military "will unequivocally defend, and [is] unequivocally committed to the alliance with, South Korea." Some former US Special Operations Forces and longtime Korea defense analysts have their own thoughts on what an 'unequivocal' US military response could look like. That includes how US troops would be deployed in the event of a lethal first strike on US and allied military forces by North Korea - precisely the sort of move Kim has been threatening to make. Patrick Cronin, senior director of the Asia-Pacific Security Program at the Center for a New American Security, said that should Kim choose to do "something even more outlandish," the US military and South Korean response would be more dire. Retired Brig. General Russell Howard, former commander of the 1st Special Forces Group, which has an Asia focus, said that should Kim decide to begin firing them, he says, "in the first few hours of the conflict, it would be pretty ugly." At the same time, North Korea could begin "swarming" its sizable contingent of 600,000 Special Operations commandos, Howard added, now the director of the Terrorism, Research, and Education Program at the Monterey Institute of International Studies, the report added. "An.... to strengthen his military credentials and build a sense of unity in the secretive state by highlighting a sense of an outside threats". Sound like anyone else we know? The Cypriots: "They've managed to contain their﻿ delight"
FDIC & BANK OF ENGLAND CREATE RESOLUTION AUTHORITY FOR UNLIMITED CYPRUS-STYLE “BAIL-INS” FOR TBTF BANKS! On Wednesday, SD broke the news that Canada had buried a provision for depositor bail-ins for systemically important banks deep inside its official 2013 budget, and stated that the Cypriot bail-in was not just a one-off event, but is in fact the new collapse template for the entire Western banking system. We suspected that the same policy change had been made by the US & the UK, but was simply yet to be discovered, buried in the website of a Federal agency. The Federal Deposit Insurance Corporation (FDIC) and the Bank of England—together with the Board of Governors of the Federal Reserve System, the Federal Reserve Bank of New York, and the Financial Services Authority— have been working to develop resolution strategies for the failure of globally active, systemically important, financial institutions (SIFIs or G-SIFIs) with significant operations on both sides of the Atlantic. The goal is to produce resolution strategies that could be implemented for the failure of one or more of the largest financial institutions with extensive activities in our respective jurisdictions. These resolution strategies should maintain systemically important operations and contain threats to financial stability. They should also assign losses to shareholders and unsecured creditors in the group, thereby avoiding the need for a bailout by taxpayers. 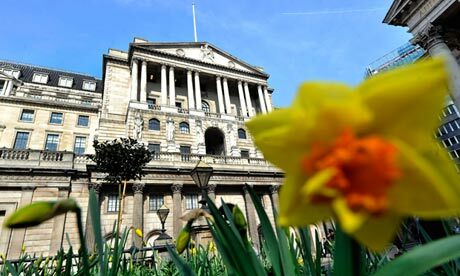 In the U.K., the strategy has been developed on the basis of the powers provided by the U.K. Banking Act 2009 and in anticipation of the further powers that will be provided by the European Union Recovery and Resolution Directive and the domestic reforms that implement the recommendations of the U.K. Independent Commission on Banking. Such a strategy would involve the bail-in (write-down or conversion) of creditors at the top of the group in order to restore the whole group to solvency. resolution framework established under the Banking Act. The development of effective resolution strategies is being carried out in anticipation of such legislation. The unsecured debt holders can expect that their claims would be written down to reflect any losses that shareholders cannot cover, with some converted partly into equity in order to provide sufficient capital to return the sound businesses of the G-SIFI to private sector operation. Sound subsidiaries (domestic and foreign) would be kept open and operating, thereby limiting contagion effects and cross-border complications. In both countries, whether during execution of the resolution or thereafter, restructuring measures may be taken, especially in the parts of the business causing the distress, including shrinking those businesses, breaking them into smaller entities, and/or liquidating or closing certain operations. financial organizations be resolvable through ordinary bankruptcy. However, the U.S. bankruptcy process may not be able to handle the failure of a systemic financial institution without significant disruption to the financial system. the parent and operating businesses would be removed, and losses would be apportioned to shareholders and unsecured creditors. In all likelihood, shareholders would lose all value and unsecured creditors should thus expect that their claims would be written down to reflect any losses that shareholders did not cover. Under both the U.S. and U.K. approaches, legal safeguards ensure that creditors recover no less than they would under insolvency. The banksters plans for a bail-in resolution agency include investment banks and clearing houses as well as deposit bearing institutions!!! enable the resolution authority to impose a temporary stay on the exercise of termination rights by counterparties in the event of a firm’s entry into resolution (in other words, preventing counterparties from terminating their contractual arrangements with a firm solely as a result of the firm’s entry into resolution) will be needed to ensure the bail-in is executed in an orderly manner. The existing Banking Act does not cover nondeposit-taking financial firms, notably investment banks and financial market infrastructures (clearing houses in particular), the failure of which, in many cases, would also have significant financial stability consequences. The Banking Act also has limitations with regard to the application of resolution tools to financial holding companies. The U.K. is in the process of expanding the scope of the Banking Act to include these firms. This is expected to be achieved through the introduction of the U.K. Financial Services Bill, which is due to complete its passage through Parliament by the end of this year. remaining claims of the debt holders could be transferred to the new operations in the form of new unsecured debt. Once the recapitalization requirement has been determined, an announcement of the final terms of the bail-in would be made to the previous security holders. This announcement would include full details of the write-down and/or conversion. Debt securities would be cancelled or written down in order to return the firm to solvency by reducing the level of outstanding liabilities. The losses would be applied up the firm’s capital structure in a process that respects the existing creditor hierarchy underinsolvency law. The value of any loans from the parent to its operating subsidiaries would be written down in a manner that ensures that the subsidiaries remain solvent and viable. Insofar as a bail-in provides for continuity in operations and preserves value, losses to a deposit guarantee scheme in a bail-in should be much lower than in liquidation. Insured depositors themselves would remain unaffected. Uninsured deposits would be treated in line with other similarly ranked liabilities in the resolution process, with the expectation that they might be written down. arrangements, transacted at the operating company level, remain unaffected. In order to achieve this, the authorities recognize the need for effective communication to depositors, making it clear that their deposits will be protected. 0.1% interest on savings deposits with the now VERY REAL THREAT OF COMPLETE CONFISCATION in the US & UK doesn’t sound like such a great return to us. The Fed appears to be making a calculated play to force savings out of the TBTF banks and into stocks and real estate, a move that is likely to backfire spectacularly. Save the Resource Management Ac!